Anyone who is considering where to travel and is looking for an area that is naturally diverse should strongly consider Corcovado National Park. It is considered to be the most diverse area of its size in the world. The reserve is found in the southwest region of Costa Rica. Some of what is found there include jaguars, squirrel monkeys, tapirs, and Scarlet Macaws. The forest is spectacular and the hiking trails often follow the coast and take you from the local beaches through the swamps and into the rainforest. The area is one of the best backpacking experiences a person can have. The area gives way to the only remaining wet forest in Central America and also includes mangrove swamps, lowland rainforest, beautiful beaches and a Coastal Marine. There are a number of endangered animals in the area that includes jaguars, redback squirrel monkeys, Harpy eagles, and others. The natural surroundings are often wet and rugged and located in remote areas but the trails remain fairly good. If your idea of good fun is finding a deserted beach with sparkling sand and coconut palms then this will be a delightful area for you. Just a short distance from where you are likely to find a waterfall where you can rinse off the sand and enjoy the rainforest that surrounds the area. It will be necessary to be careful when swimming in the ocean because some areas have hammerhead sharks and crocodiles. Anyone who is not experienced with hiking in areas such as these should strongly consider taking a professional guide. With dangers of sharks and crocodiles along with snakes and jaguars, anyone who is inexperienced and on their own can easily find themselves in serious danger. When hiking along the beach the tropical sun can get the best of you if you lack the experience of how to care for yourself properly. Other dangers that inexperienced hikers may not be aware of is the potential for losing the trail. During the rainy season, it is common for hikers to bruise themselves on the rock or they find themselves in water waist-deep. Anytime you’re in the water you have to be very cautious because of the fact that there are hammerhead sharks and crocodiles. Should you find yourself swimming in the ocean and caught by the undertow you could quickly be pulled a considerable distance out to sea. If you find this happening you don’t want to swim towards the beach because you’ll be swimming against the undertow. Instead, swim parallel to the beach until you find yourself out of the pull of the undertow. Only then should you begin to swim towards the shore. There are also a number of poisonous snakes that live in the area. Many of these snakes keep themselves well hidden and for this reason, you never want to put your hand somewhere where you can’t see where your hand is going. Other pests that can be bothersome include mosquitoes and horse flies and even the spiders in the area will often build their webs from one side of the trail to the other. Even if you break those spider webs the spiders rebuild them amazingly fast. Another thing to be careful of is the Africanized bees. Although they are no more poisonous than ordinary honey bees they are considerably more aggressive and this is what makes them dangerous. If you do find yourself with the misfortune of being attacked by these bees you should run and you should run in a jagged line instead of running straight. The dangers in the area can be largely avoided if you know what you are doing. If you do not know then you should have a professional guide go with you. This will ensure you are able to enjoy all the wonders of the area while greatly reducing the chance that you will run into problems. There are few places left on earth where you will find such natural diversity. 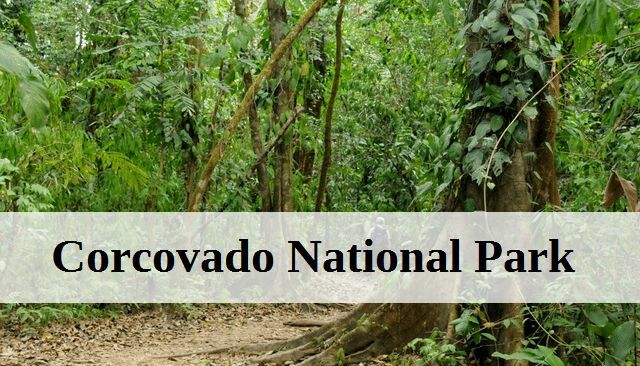 Whether you are an experienced outdoors adventurer or brand new to backpacking, Corcovado National park can be an exciting place for an outdoors experience. Book your trip to Costa Rica today. Also visit Tabacon Hot Springs in Costa Rica.